Introducing the new Test Health Dashboard! The Test Health Dashboard offers an up-to-date view into the health of every HackerRank test. 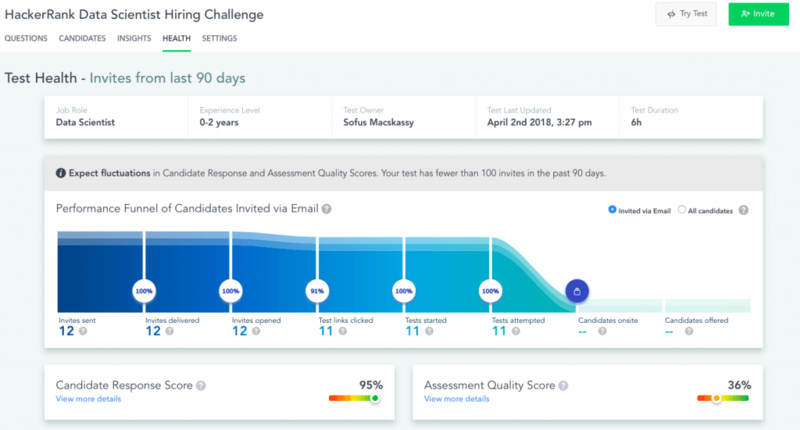 Combining insights on candidate response and assessment quality, you can now take immediate action to increase the efficiency of your candidate funnel and hire more quality candidates across job roles and experience levels. 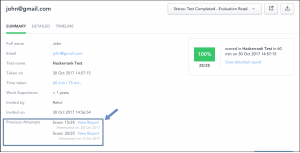 Author HackerRankPosted on February 28, 2019 February 28, 2019 Categories UncategorizedLeave a comment on Introducing the new Test Health Dashboard! Today we’re excited to share that we’re launching new Role-based Assessments to help all HackerRank customers—go beyond evaluating fundamental coding skills to—assess developers’ skills based on their job function. 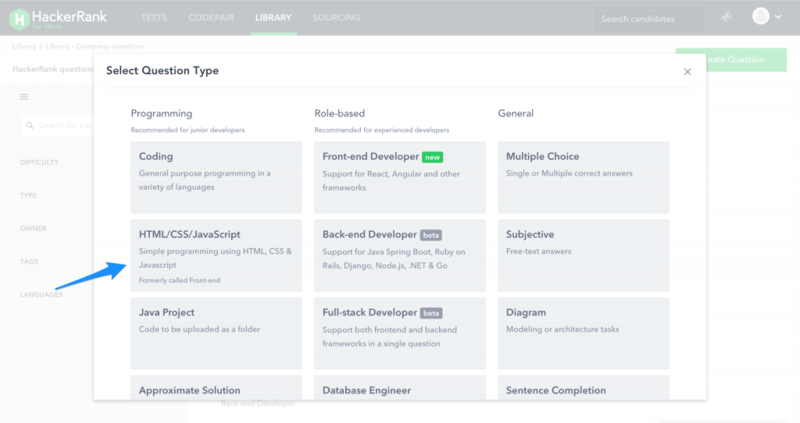 Front-end role-based assessments are available today. Back-end and Full-stack are available in Beta. As part of this launch, we are also renaming existing question types to improve alignment between the right job roles versus skill assessment. 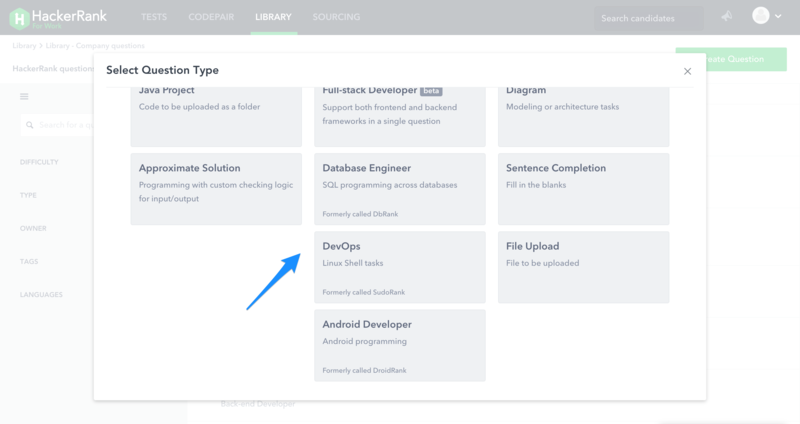 DevOps, Database Engineer, and Android Developer question types have also been moved under the new “Role-based” column inside the “Create a question” dialog. This update doesn’t change the experience for these question types. They will continue to function as they do currently. Please reach out to support@hackerrank.com if you have any questions or concerns about this change. HackerRank will not be available due to scheduled maintenance from 5:30 pm to 6:30 pm PST on 28th May 2018 (See all timezones here). We will take this time to perform updates to our database. 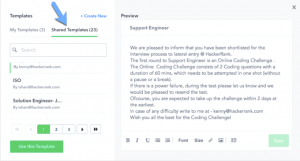 During this time you will not be able to access the entire HackerRank platform including HackerRank for Work, HackerRank Community and HackerRank Jobs. How does this impact test candidates? The tests interface will not be available during the maintenance window. Candidates will see a notification to come back at a later time if they try to launch a test. We will also ensure that candidates are allowed to start their Test only if they can complete it before the start of the maintenance window. How does this impact CodePair sessions? New CodePair sessions cannot start during the maintenance window, and up to 90 minutes prior to the start of the window. For sessions that are live as we approach the window, we will show warnings to the participants so they can complete their interview. Interview data recorded before the maintenance window starts will be safe. How does this impact my reports? You will not be able to view reports or dashboards during the downtime. What happens to invites expiring on 28th May? As always, if you have any questions, please email us at support@hackerrank.com and we would be more than happy to answer them. As a standard part of our security review process, we will be changing the set of ciphers supported by our web servers in our AWS ELB cluster. The changes will go live on Feb 28th, 2018. With this change we are effectively enabling the ELBSecurityPolicy-TLS-1-2-2017-01 pre-defined security policy available on Amazon’s Elastic Load Balancer. You can find more information about the security policy here. Qn: What does it mean to disable an existing cipher? A client (such as a browser) typically supports multiple ssl ciphers. As part of the handshake the client and server agree on one specific cipher. If the server rejects a requested cipher (because it is no longer supported) the standard protocol is for the client to request another cipher from its list of supported ciphers. All standard browsers and most API SDKs work on these principles and the change should be completely transparent to end users. Qn: Why is this change required? This is a standard part of keeping our security infrastructure up to date. It is security Best Practise to replace ciphers that have been shown to have theoretical vulnerabilities with more robust ones. Qn: I am using a custom API integration with a highly bespoke SSL wrapper and I use one of the ciphers that are going to be disabled. What should I do? You can test your software by requesting one of the supported ciphers listed in the AWS page linked above. If any of them work, you can configure your wrapper to request that supported cipher instead of one of the disabled ones. Qn: Will there be any disruption of service during this change? No. There will be absolutely no disruption if you are using a standard web browser to interact with our application, or if you are using any standard SSL SDK. Qn: I need more help. What can I do? All users can now share templates created company wide. Click on the templates icon in the bottom right of the editor, this will open up the templates window as shown below. Under Shared Templates, you can see all templates created by other users within the company. These templates are ready for immediate use or you can create your own copies and make edits as you see fit. For more details, please visit this article. You can now personalise every email invitation by including candidate and recruiter names in your emails. 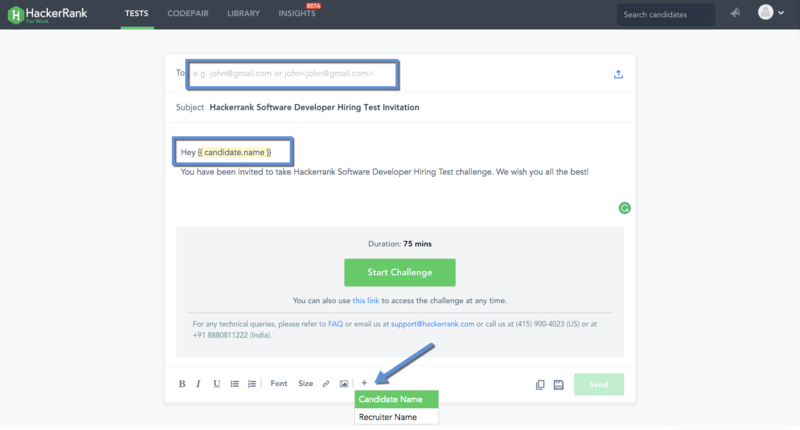 To do this, add the candidate or recruiter name placeholder to your email as shown below. The candidate’s name will only be shown if it is included in the email address in the following format: john<john@abc.com> or if the candidate name is included in the csv upload. For more details, please visit this article. There are often cases where candidates could not complete the test due to power issues or loss of connectivity. For these cases where you would like the candidate to retake the test, you can now resend the invite without deleting the previous reports. All attempts candidates took are stored along with a detailed report for each attempt that you can review later. For more details, please visit this article. If you have any questions, please write to us at support@hackerrank.com . 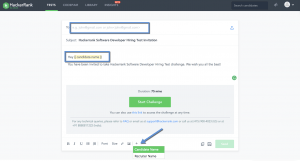 We are conducting 60-minute training with live Q&A where we will review HackerRank for Work product, best practices in creating tests, inviting candidates to take the test, reviewing candidate reports and conducting paired programming interviews with Codepair. Please see the schedule here for training and sign up. Starting today 10/16/17, HackerRank will not support fullscreen mode for candidates attempting the test using IE 11 or Safari. 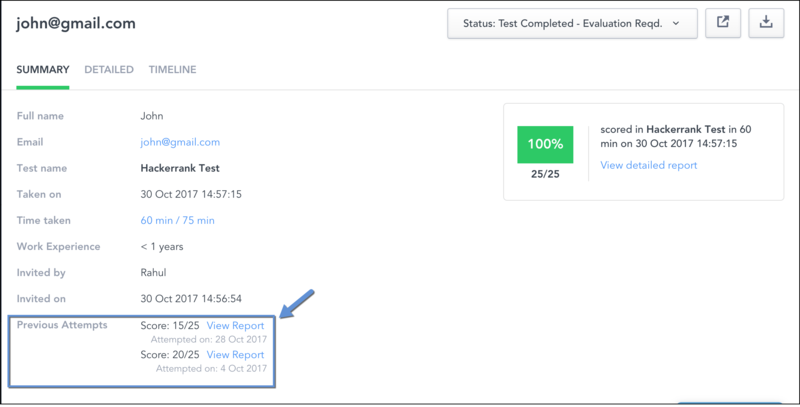 We recommend that whenever you send a invite for a test with fullscreen enabled, please add instructions for candidates to use latest version of Chrome, Firefox or Microsoft Edge to take the test. Note, we will continue to support IE 11 and Safari browsers. This update only impacts candidates using IE 11 or Safari when the test specifically has fullscreen mode enabled. If you have any questions, please refer to this article or write to us at support@hackerrank.com. We are introducing a Codepair creation extension which would allow you to create codepair interviews in a jiffy and use them on the fly. This extension is currently available on Chrome. This will help engineers who are looking for a code collaboration tool during their interview process, be it onsite or over the phone. 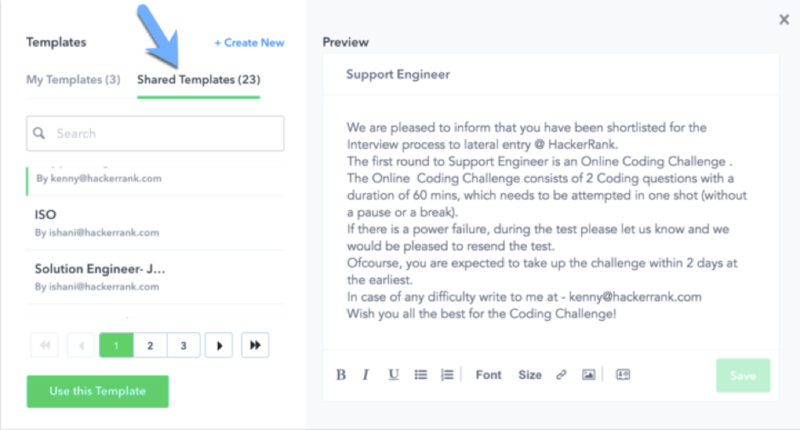 Interviews created using this extension are available in your HackerRank for Work dashboard to go through reports and notes whenever you want to access them. HackerRank will not be available due to scheduled maintenance from 10 am to 3 pm PST on 29th May 2017 (See all timezones here). We will take this time to perform updates to our database. What happens to invites expiring on 29th May? Upgrade all questions using Swift 2.0 or an earlier version to Swift 3.0. 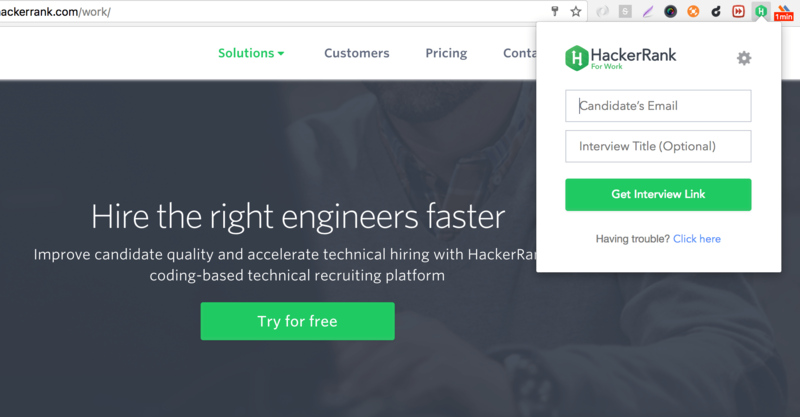 During this time you will not be able to access the HackerRank platform. The tests interface will not be available during the maintenance window. Candidates will see a notification to come back at a later time. We will also ensure that candidates are allowed to start their Test only if they can complete it before the start of the maintenance window.